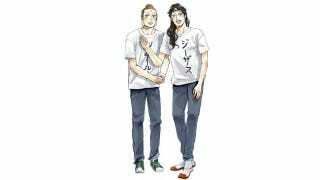 In the manga Saint Young Men, Jesus Christ and Gautama Buddha are on vacation in Japan, doing their best to understand modern society—as well as hide their own identities. Sometimes they just hang out at home, eat noodles and blog, while other days they do things like going to amusement parks. The hugely popular manga is being turned into an animated feature film, directed by Noriko Takao, who has worked on a bunch of TV anime (like Clannad, K-On!, and more). Fans of the manga, your prayers have been answered!